Peter Doraisamy graduated with an LL.B. (Hons) from the University of Nottingham and received an LL.M. (Maritime Law) from the National University of Singapore. Peter was admitted to the Middle Temple as a Barrister-at-Law in 1997 and became an Advocate and Solicitor of the Supreme Court of Singapore in 1999. 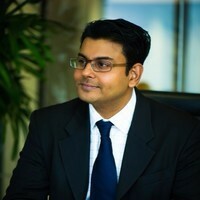 Prior to founding Peter Doraisamy LLC, Peter established the Dispute Resolution practice group in Duane Morris & Selvam LLP when he joined the firm in 2011. He was the Head of the Dispute Resolution Practice Group as well as the Firm’s Shipping and International Trade Practice Group. With 18 years of practice experience, Peter has extensive expertise in handling complex civil litigation and arbitration matters and has litigated at all levels of the Singapore Courts including the Singapore International Commercial Court. Having had significant experience in the shipping sector, Peter’s specialisation lies in shipping and maritime law. He regularly engages in advisory work and dispute resolution (including charterparty and bill of lading disputes, shipbuilding/repair, collisions, arrest and enforcement of maritime claims), marine insurance and international trade. His non-contentious matters usually involve advisory work and drafting in relation to joint ventures, mergers and acquisitions, construction, repair, conversion, sale & purchase and chartering/ operations/ management of ships and onshore/ offshore drilling platforms, ship finance and registration.